New Delhi: Credit is a devil that dances in empty pockets," was the advice P.V. Rajiv’s father gave him when the young salesman swiped his new credit card for the first time to buy an expensive watch he could hardly afford. With India’s growth, an average of 8.6% in the last four years, matched only by an expansive embrace of debt-fuelled consumerism among its growing middle class, the country was a magnet for retail lenders. But now as global slowdown hobbles its growth, while interest rates are still high, banks, companies and consumers are feeling the strain of rising debt. According to the latest Reserve Bank of India (RBI) data, consumer credit growth in August slowed to 17.4% from 21.4% a year ago. Housing loan growth slowed to 13.9% in August from 17% last year, while advances for consumer durables fell by 7.9% from a year ago. Car sales, a major indicator of the economy’s health, fell an annual 6.6% in October, the third decline in four months. “There has been significant moderation in retail credit disbursal," Abheek Barua, chief economist at HDFC Bank Ltd, India’s second largest private bank, said. “Consumer credit has fallen in the past six-seven months because of very high rates and with banks becoming more careful about any spike in non-performing assests." Just a year ago things were very different. According to Goldman Sachs Group Inc., Indian consumers’ growing appetite for cars, computers or clothes during the past eight years accounted for nearly as much growth in global demand as the US, and triggered huge demand for credit. Total loans, including mortgages and unsecured loans such as credit cards, grew around 30% annually in the last three years, an expansion the RBI called “unprecedented". But now the strain of the global slowdown is reflected in most banks raising their loan-loss provision, while overextended Indians find themselves in the whirl of revolving credit. The largest among Indian private banks, ICICI Bank Ltd, a major player in consumer credit markets, raised its bad loans provision to 1.91% of net advances from 1.43% a year ago. Retail credit is the biggest contributor to its bad loans. According to ratings agency Crisil Ltd, a unit of Standard and Poor’s, Indian banks’ consumer loans are now likely to be major risk areas as bad debts are expected to rise to 4% of advances by 2009. Outstanding loans on credit cards stood at about $6 billion (Rs29,940 crore) at the end of August, up a staggering 86% from a year ago. Until about two decades ago a father would raise a loan from friends and family or take an advance from his retirement benefits to marry off a daughter or buy a house. 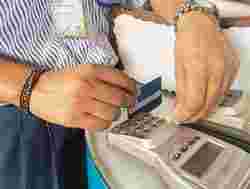 But as the economy opened up, credit providers distributed loans indiscriminately with little care for the credit-worthiness of the debtors—it became common to be accosted by credit card agents or offered a loan with virtually no demand for a security. “If you produce your plane boarding pass, you might be able to obtain a credit card as you exit the airport terminal," Manmohan Agrawal, executive director of Axis Bank Ltd, said in a Wharton School business report last year. Defaults were bound to follow. Consumer credit repayments three months or more overdue form about 7-9% of total loans outstanding this year, and, Crisil says, could touch 15%. India has about 30 million credit cardholders, a number that has tripled over the past five years as private and foreign banks chose plastic to break into the Indian market. Indians put $14 billion on their cards in fiscal 2008, more than three times the amount charged four years earlier. Last month, police broke open the door of a Mumbai apartment and recovered the bodies of A.K. Nair and their two dead children. They found 73 credit cards in the house. The Nairs were not alone in their debt misery. In New Delhi alone, courts are dealing with about 400,000 cases of bounced cheques, mostly dishonoured payments for credit card purchases and loans, The Times of India said.